Offspinner Nathan Lyon has been preparing himself for a more attacking role with the Australian side. Though all of his three wickets to dismantle West Indies for 116 came during the middle overs, Lyon’s captain Steven Smith has been eying a greater role for him during the Powerplay and the slog overs. With a robust assembly line of fast bowlers and seam-bowling allrounders coming through, the role of a spinner in an Australian one-day outfit has often been limited. Lyon himself hinted that his primary objective had often been about keeping the runs down and, if as a byproduct he ended up with a rich haul, all the better. 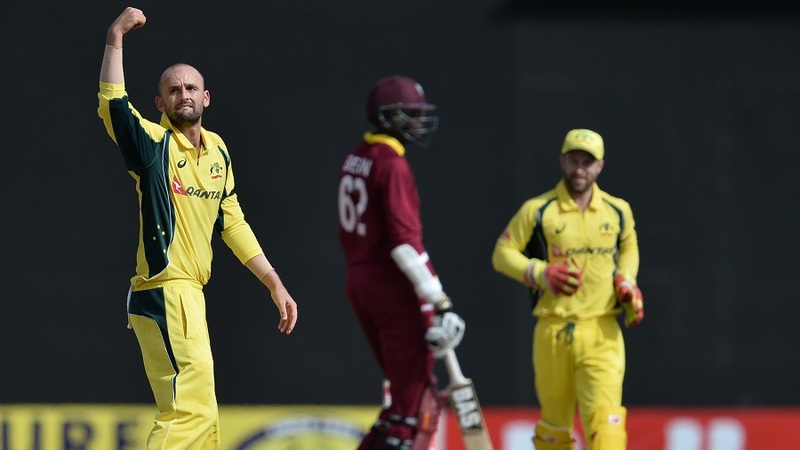 The 28-year old came on as first-change in the seventh over, maintained an economy rate of 3.9 and dismissed Marlon Samuels and Kieron Pollard off successive deliveries in the 17th to establish Australia’s dominance. The slow pitches in Guyana have enabled the spinners to dictate terms. Legspinner Adam Zampa picked up 3 for 16 in 5.3 overs, part-time offspinner Glenn Maxwell chipped in with 1 for 3 off two overs and Lyon was quite pleased to have the support. Lyon, Zampa and Maxwell bowled nine overs between the 17th and the 25th, took four wickets and gave away only 20 runs. That left West Indies at 90 for 7, with nowhere to go.